It’s all the features you depend on from the high-performance #2552 12/14-oz. PopMaxx Value Priced Popper, but custom designed for kettle corn capability. The Kettle Corn 12/14-oz. PopMaxx #2552KC is equipped with the energy saving Uni-Maxx® kettle. 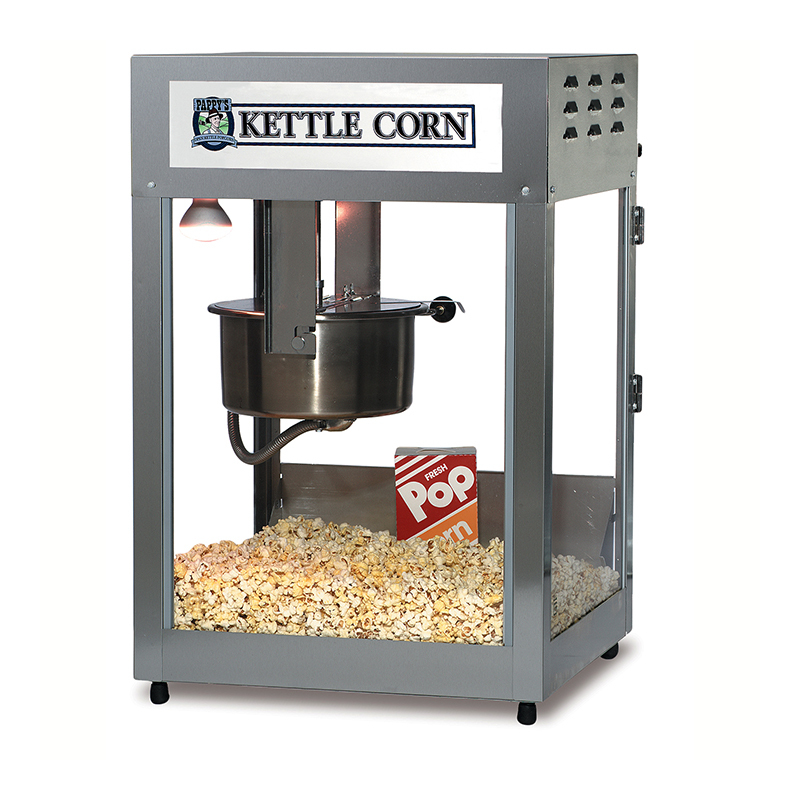 This kettle corn machine features a stainless steel cabinet and improved exhaust filter with 2 exhaust blowers. Try this machine at concessions, gourmet popcorn shops and stadiums.